It is no secret that I love salsa. As Brooke knows I could quite easily polish off a bag of corn chips and tomato salsa just watching TV or a movie. However I do have to admit, up until recently I was still buying the one from the shops. Why not though? It is just so convenient. The major problem with store bought tomato salsa is it is full of unnecessary sodium, sugar and artificial flavouring. Little did I know though how easy homemade tomato salsa is! 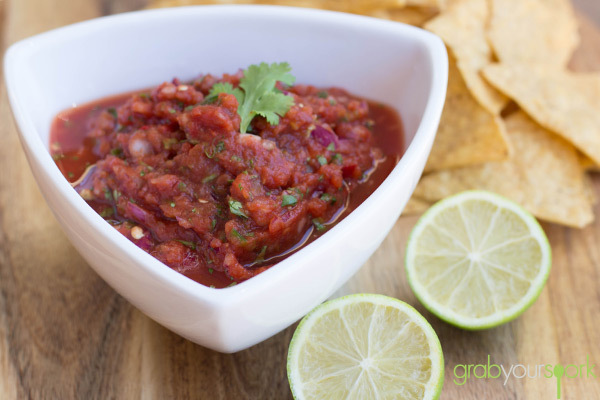 Not only can this recipe for tomato salsa be made is less than 5 minutes its fresh flavours are unbeatable. 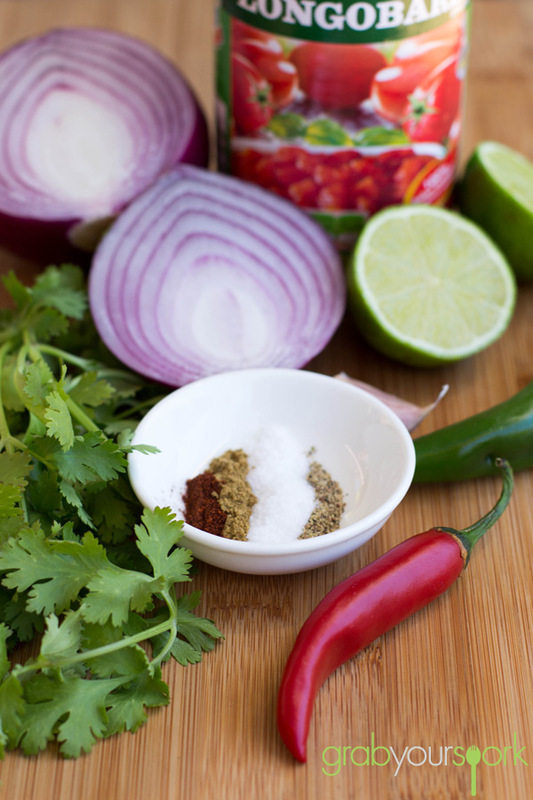 For our recipe we use one can of tinned tomatoes, red onion, coriander, chilli, garlic fresh lime juice and season with cumin, smoked paprika and salt and pepper. If you’re like me I like my salsa a bit spicier, so we used a combination of red and green chilli. 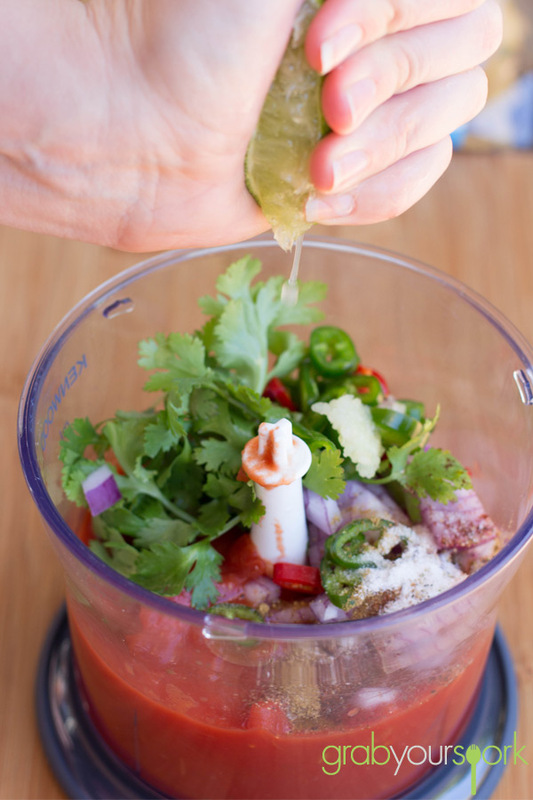 However you can simply just use one jalapeno. 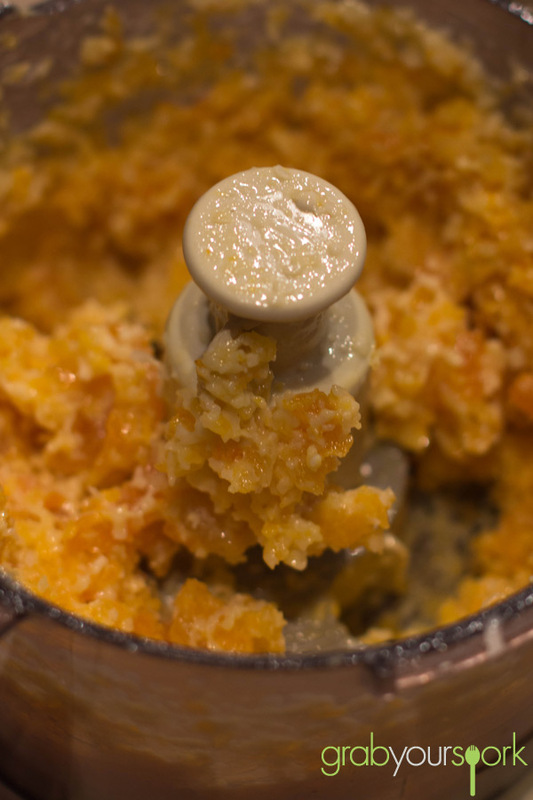 To mix simply blitz in the food processor or with a stick blender. I like my salsa a bit chunky so only blitz for a couple of seconds at a time until you reach a nice consistency. 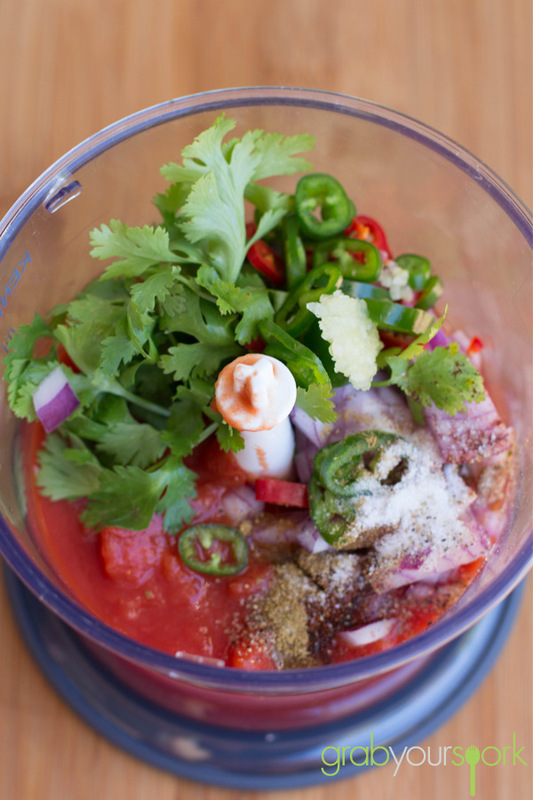 Your salsa may be slightly watery once blitzed. 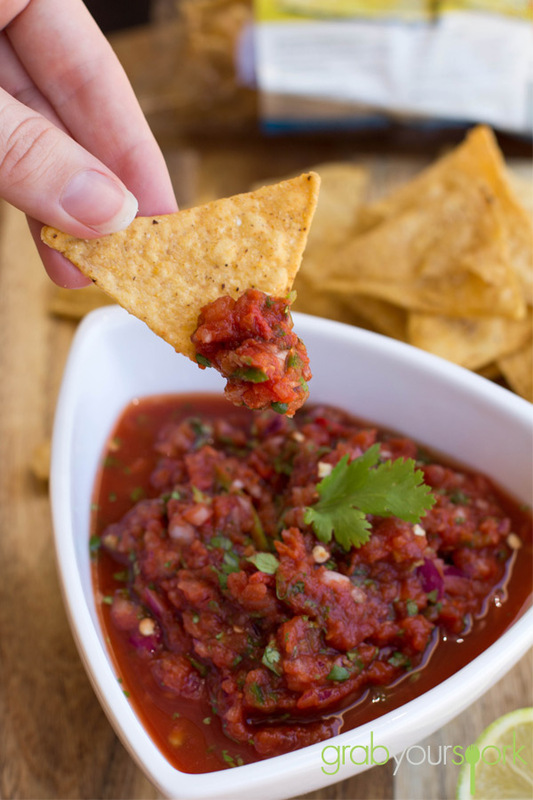 Strain some of the extra liquid leaving you with a rich flavourful salsa. Chill your tomato salsa for a couple of hours to enhance the flavours. 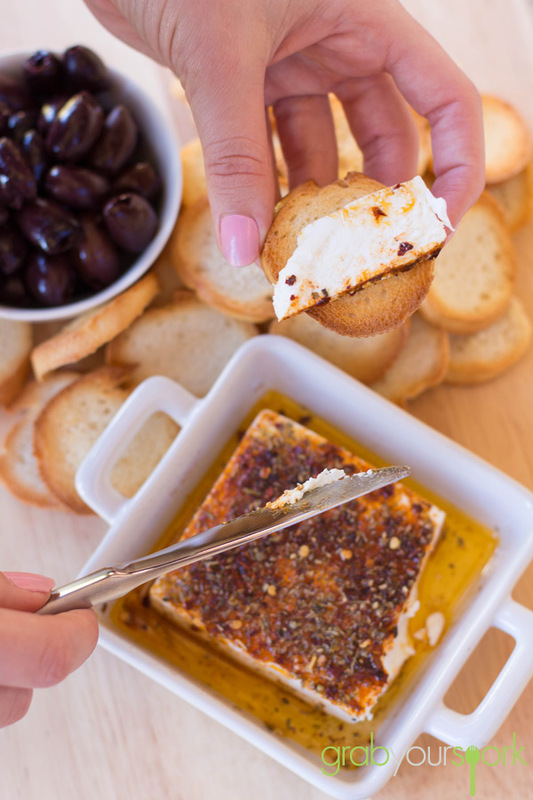 Serve with some oven-crisped corn chips. This recipe can also be used to accompany our simple guacamole or even as a topping for our pulled pork tacos! Simple tomato salsa made with tinned tomatoes, red onion, coriander, chilli, garlic fresh lime juice and season with cumin, smoked paprika and salt and pepper. Blitz or pulse for a couple of seconds. Drain excess liquid from salsa. Chill in the refrigerator for a couple of hours. 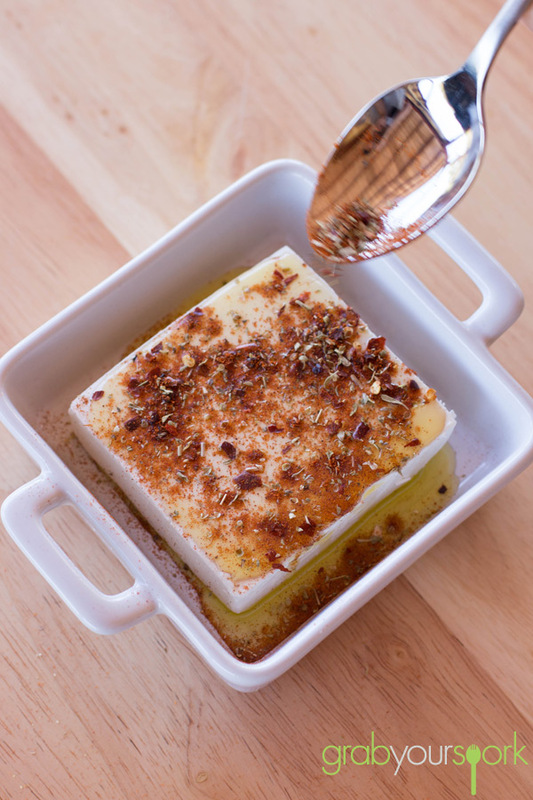 Serve with oven-crisped corn chips. If you have been on Foodgawker or Pinterest lately you will notice all the food people are making for the Superbowl. 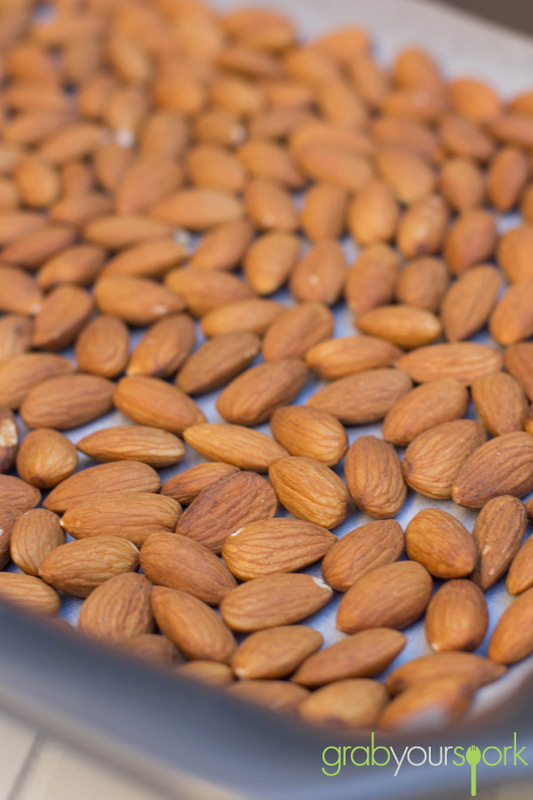 Although it isn’t a big deal here, it doesn’t mean we don’t appreciate some of the tasty snacks that come from America. 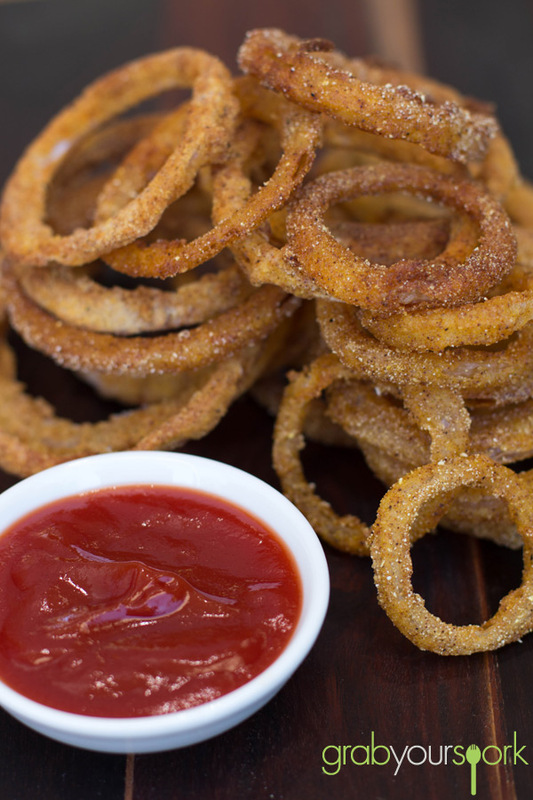 This recipe for Baked Onion Rings will make you appreciate the work that goes into making the perfect snack, yet a whole lot healthier given we baked them. 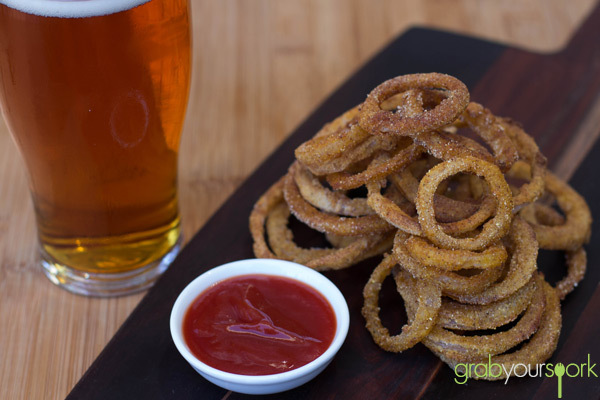 Onion rings are the perfect accompaniment to burgers, barbeques and well any other casual occasion. The trick to making the perfect onion ring however, is ensuring you soak the raw onion rings in buttermilk before coating them. Through soaking the onion first it will not only soften the onion, it also takes away some the heat and acidity onions have. Lastly, soaking the onion rings in buttermilk allows the more coating to adhere to the rings given your that extra crunch. 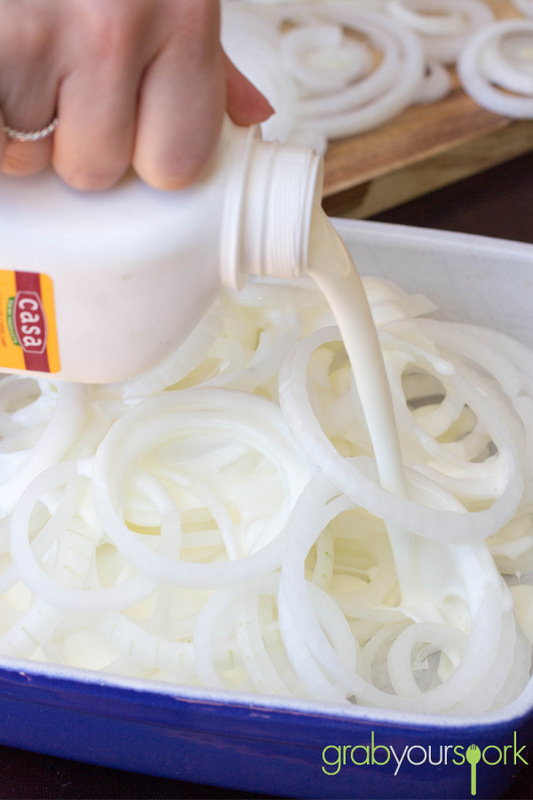 To make our onion rings, you need to soak the rings ahead of time. Anywhere from 2 hours onwards is enough if you ask me. 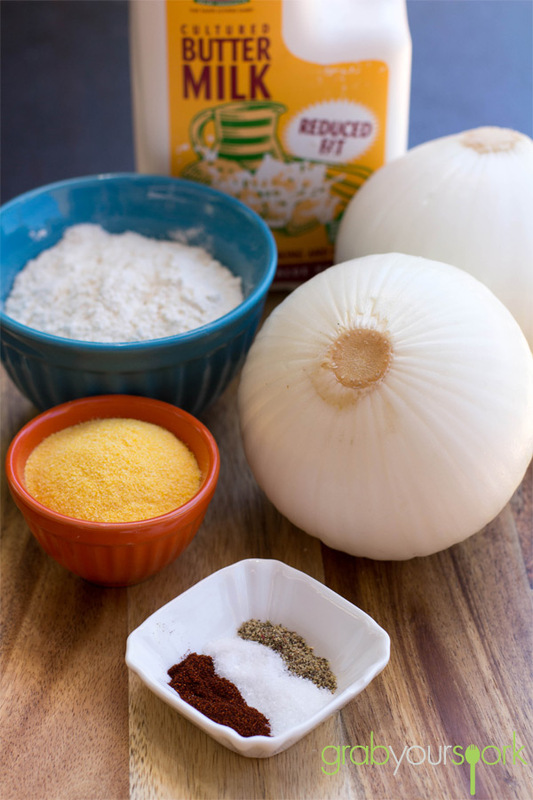 You need to make sure the onions are somewhat submerged in the buttermilk, and occasionally stir. Leave in the refrigerator covered tightly. 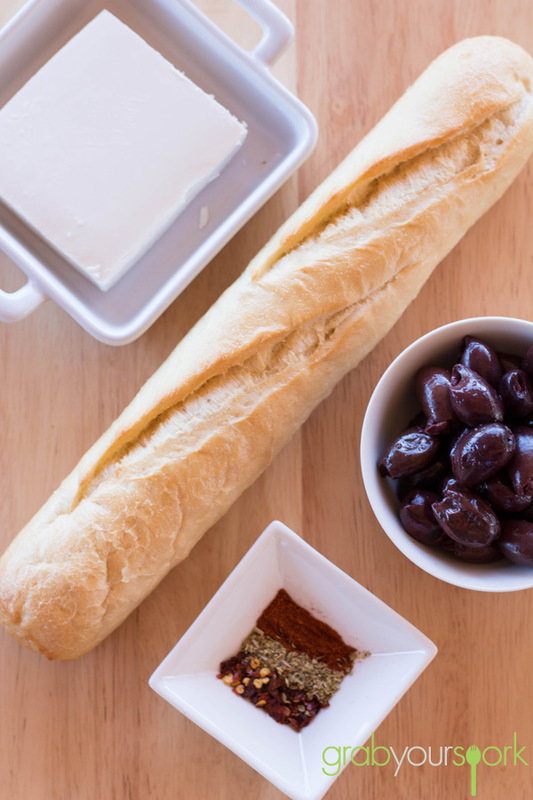 To coat, simply dip the rings in the coating and place on a lined oven tray. Spray the rings with canola oil and bake in the oven, flipping and rotating till golden brown. Once the rings are cooked you should end up with a crisp outside and soft onion on the inside. 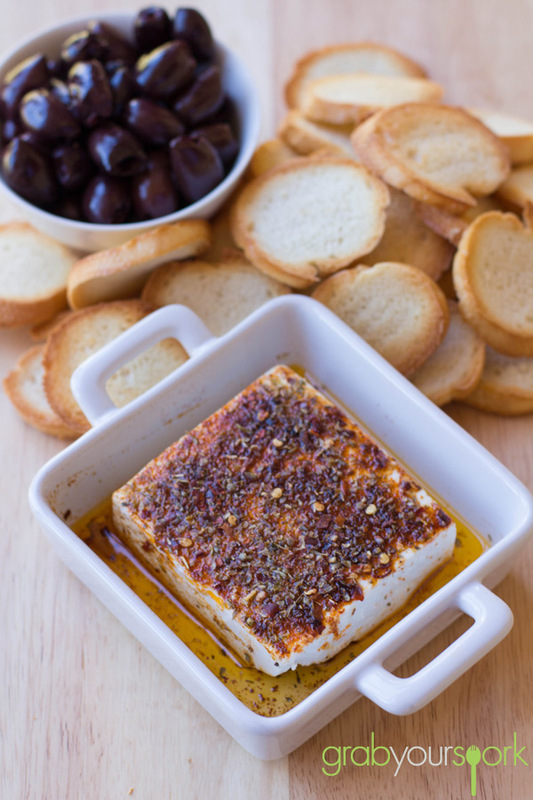 Serve with burgers, barbeque or like we did a as a late afternoon snack and a beer. 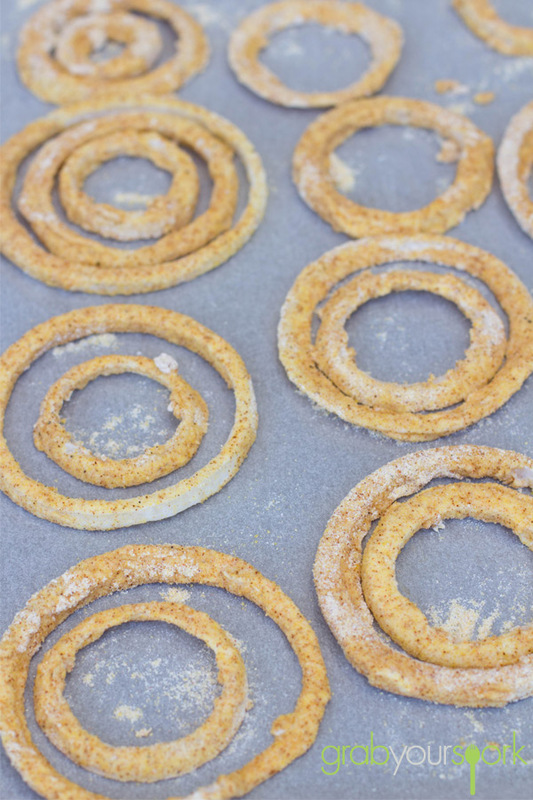 These polenta coated Baked Onion Rings are a whole lot healthier than your typical deep fried onion rings yet they still taste amazing. Soak onion rings in buttermilk. 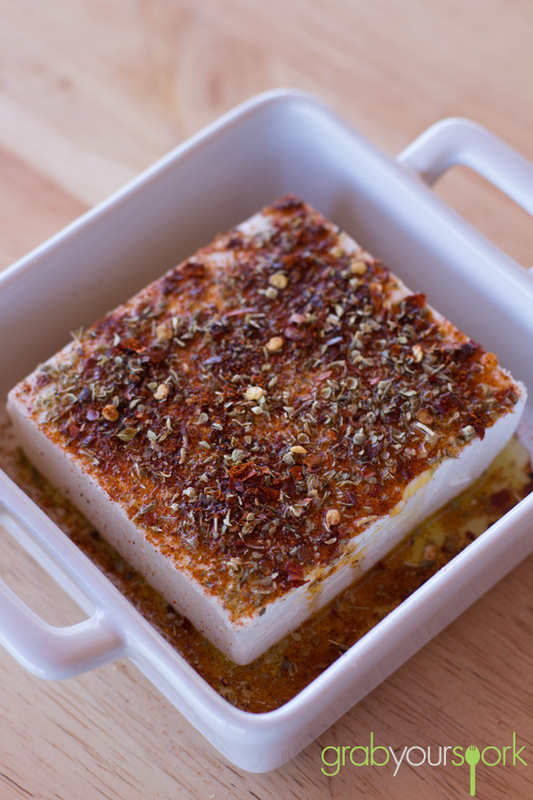 Cover tightly and refrigerate for at least 2 hours or more. Combine remaining ingredients in a bowl. 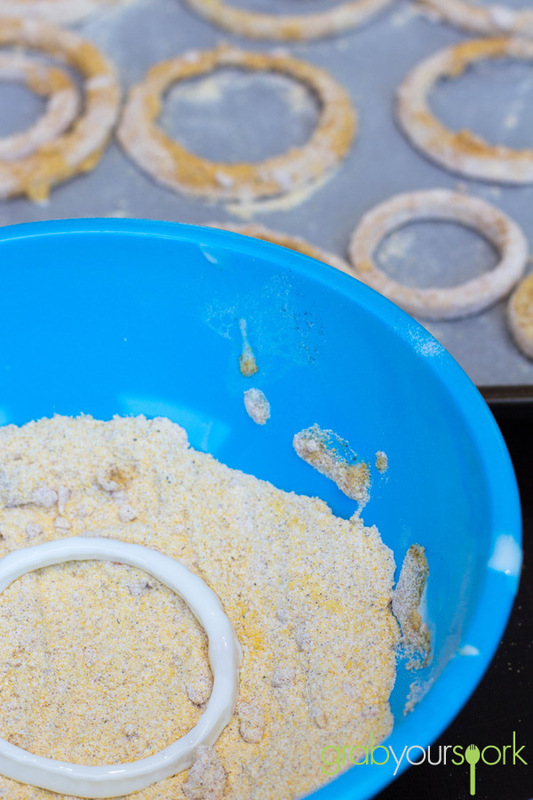 Dip onion rings into coating and place on a lines baking tray. Spray with canola oil. Bake in a 180°C preheated oven, flipping and rotating till golden brown. Three ingredients? 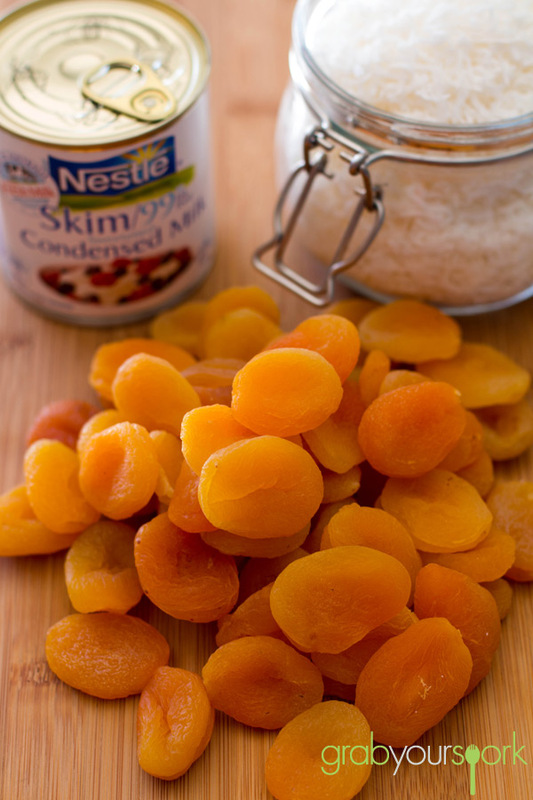 Dried apricots, coconut and condensed milk. 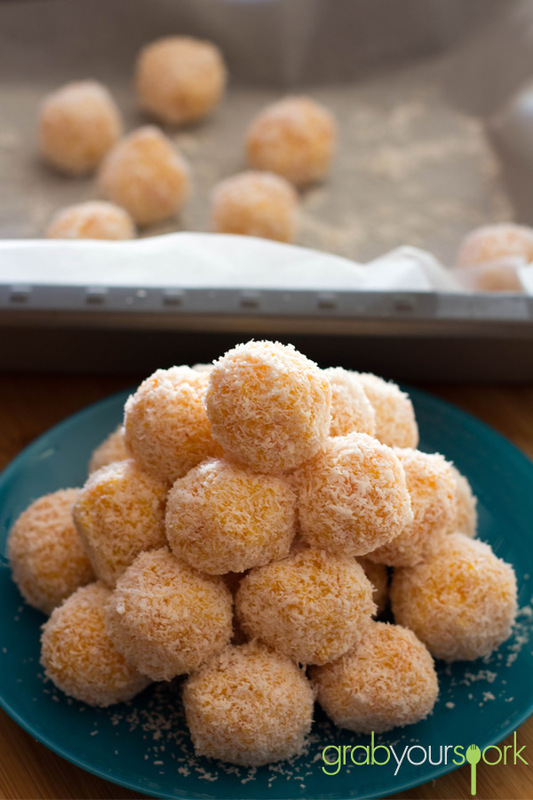 This recipe for Apricot and Coconut Balls really is that simple. 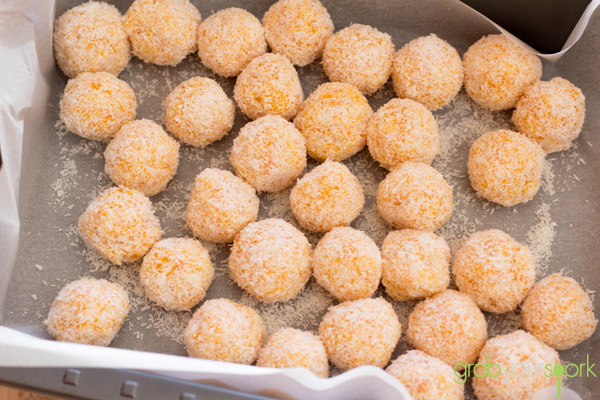 There are a few variations for apricot balls out there, some recipes call for additional things like crushed biscuits or white chocolate but I like this one just the way it is. 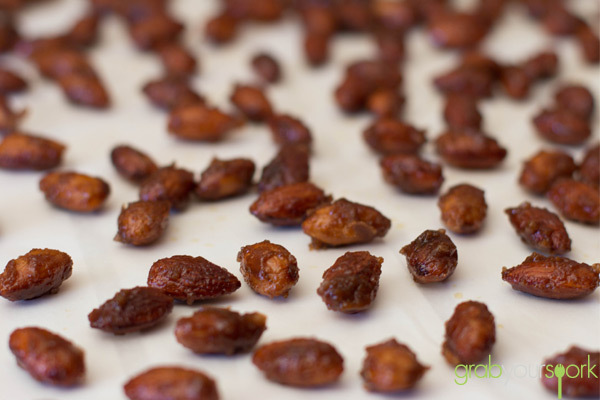 These bite sized treats are great to make any time of year for a sweet treat and make for a great Christmas recipe. 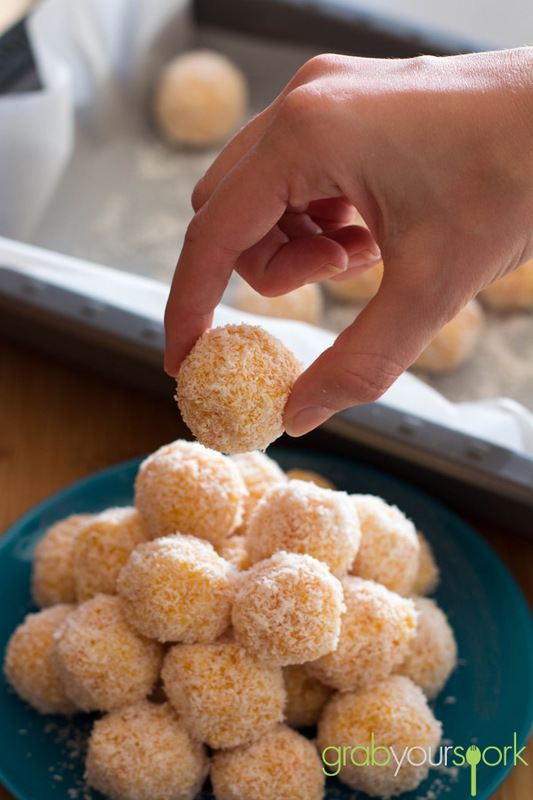 To make these chewy sweet apricot bites, you can either chop the apricots into small pieces or as we did use the food processor. 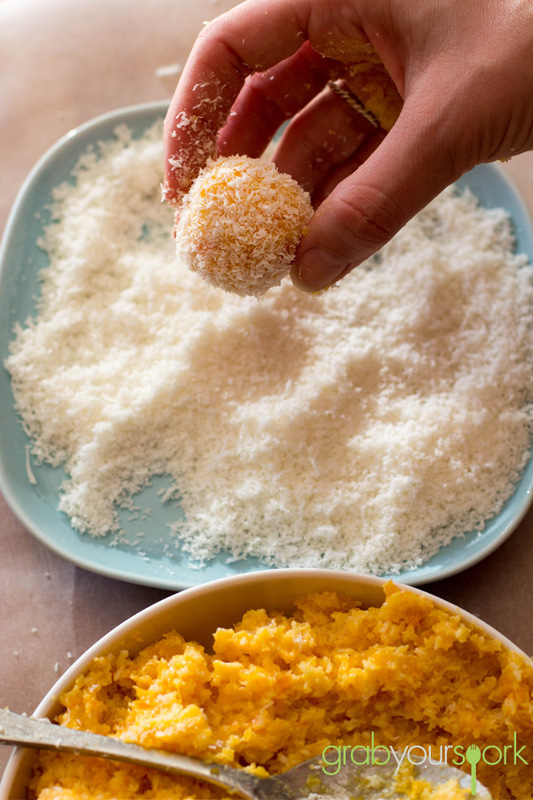 Once you have your mixture, all you need to do is roll the mixture into small balls, then roll through the extra coconut. I encourage you to wet your hands to avoid the mixture sticking as much – but unfortunately if it unavoidable. There will be a mess at the end. 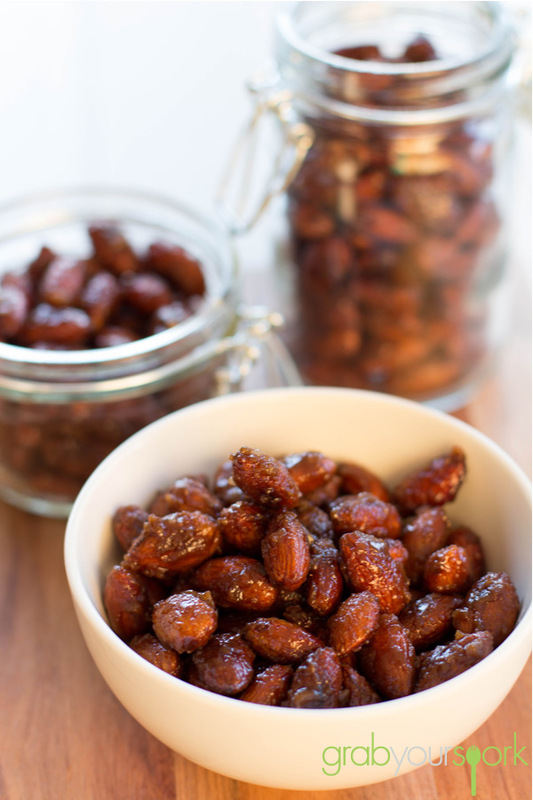 This recipe is simple, yummy and easy to get your kids involved! 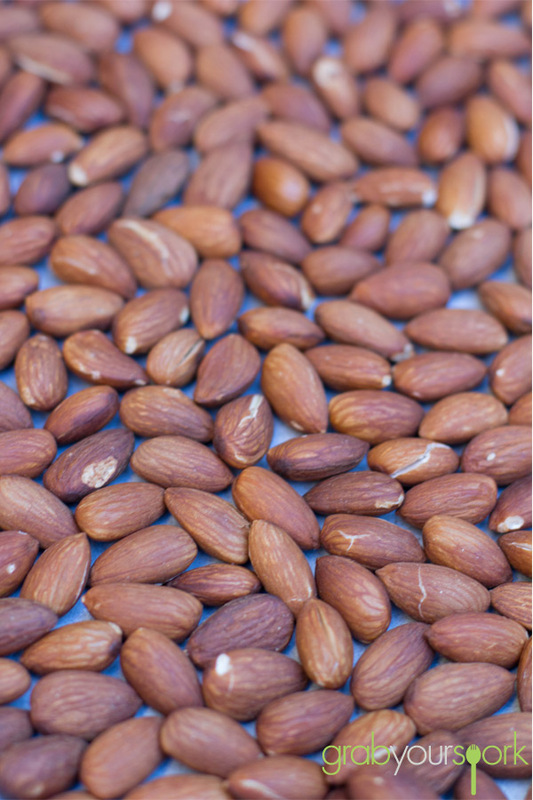 If you like this recipe than check out our other great treats like Choc Mint Fudge, Raspberry Friands or Blueberry and Lemon Loaves. 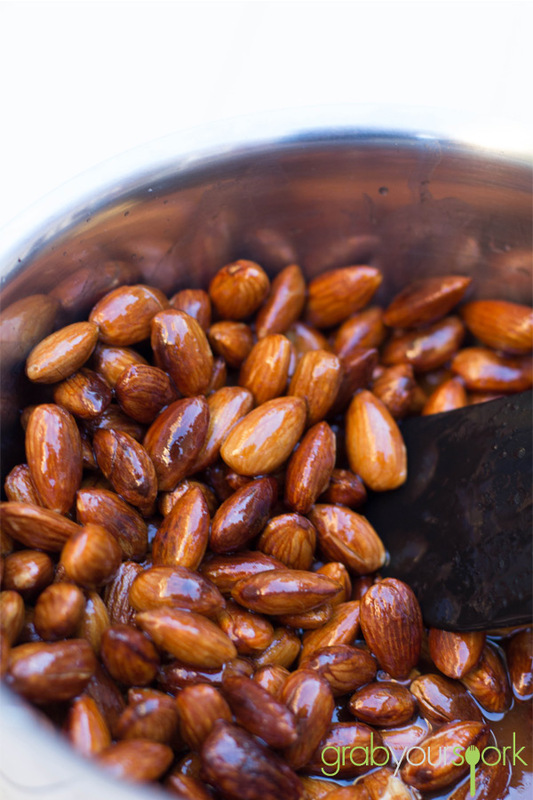 With wet hands, roll mixture into small ball and coat with extra coconut. 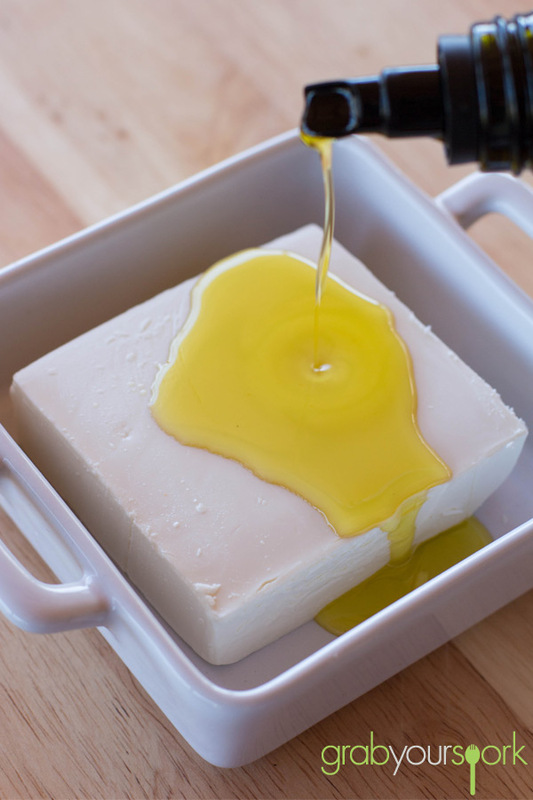 Refrigerate or freeze for 1 – 2 hours.